There's a lot more stuff that goes on during the game than happened there. 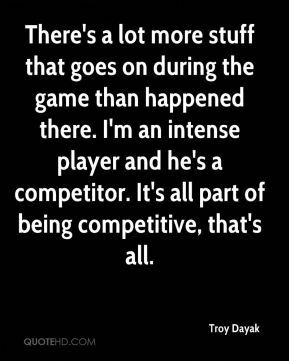 I'm an intense player and he's a competitor. 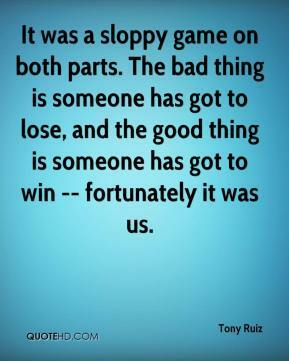 It's all part of being competitive, that's all. We totally dominated them. If we had scored on half of our chances, we would won that game handily. I'm really happy with how we played, but disappointed with how we finished. He's done everything that we ever ask of a pitcher. 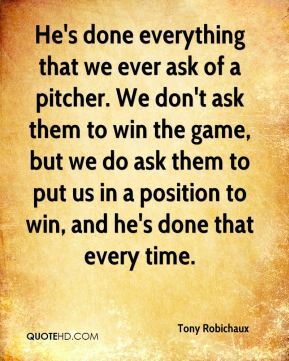 We don't ask them to win the game, but we do ask them to put us in a position to win, and he's done that every time. He's been a tough kid all his life. 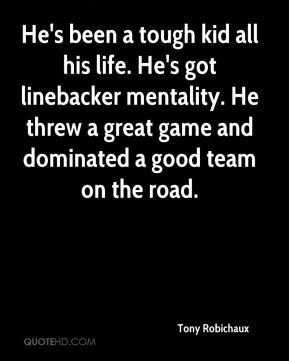 He's got linebacker mentality. He threw a great game and dominated a good team on the road. Austin threw a great game and what can I say it was clutch hitting. Andy worked on some stuff in the cage and was swinging well in batting practice today. He got a hold of a couple today. I'm happy for him. 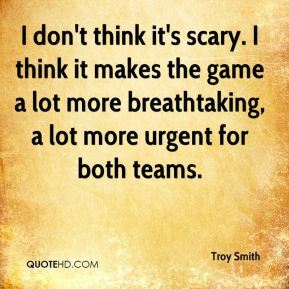 Were generating some attacking opportunities and playing defensively as a cohesive unit, but not for an entire game. 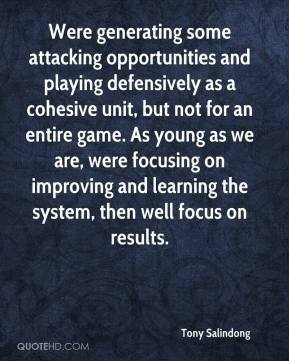 As young as we are, were focusing on improving and learning the system, then well focus on results. 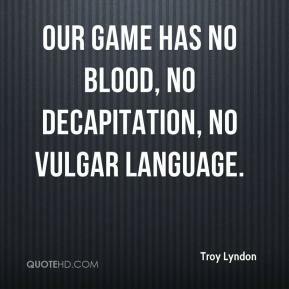 Our game has no blood, no decapitation, no vulgar language. 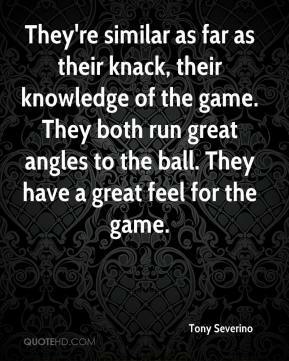 They're similar as far as their knack, their knowledge of the game. They both run great angles to the ball. They have a great feel for the game. 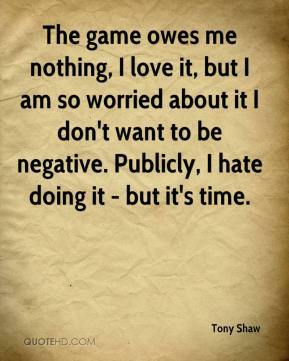 The game owes me nothing, I love it, but I am so worried about it I don't want to be negative. Publicly, I hate doing it - but it's time. It was a little bit of a scary game. 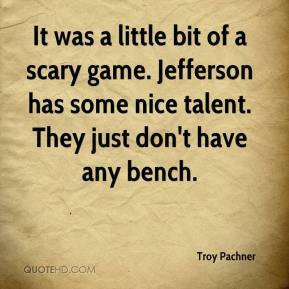 Jefferson has some nice talent. They just don't have any bench. The press really turned the game around. 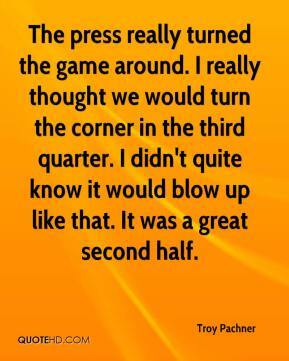 I really thought we would turn the corner in the third quarter. I didn't quite know it would blow up like that. It was a great second half. He's very even-keeled. He knows the game. 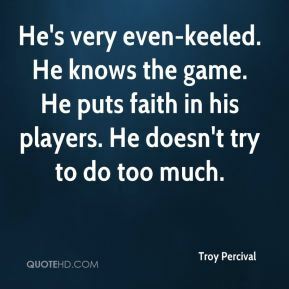 He puts faith in his players. He doesn't try to do too much. Yeah, that's something I base my game on, is a lot of communication. Bobby does it very well, being a center back. 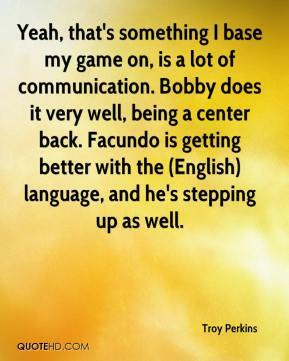 Facundo is getting better with the (English) language, and he's stepping up as well. 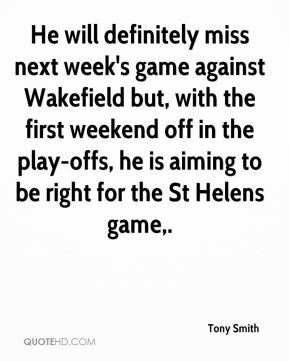 He will definitely miss next week's game against Wakefield but, with the first weekend off in the play-offs, he is aiming to be right for the St Helens game. We did what we could do to win the game. That's all that we can really take care of, whatever happens on the field. 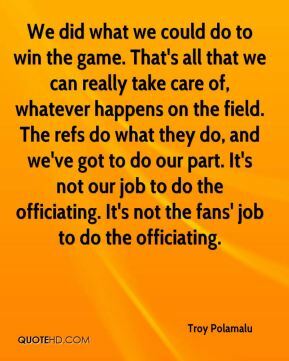 The refs do what they do, and we've got to do our part. It's not our job to do the officiating. It's not the fans' job to do the officiating. I see everything in his game. 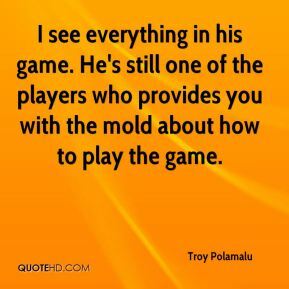 He's still one of the players who provides you with the mold about how to play the game. 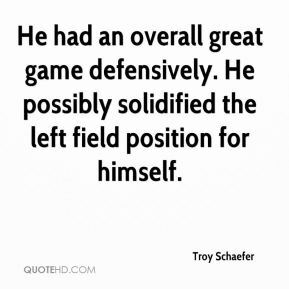 He had an overall great game defensively. He possibly solidified the left field position for himself. 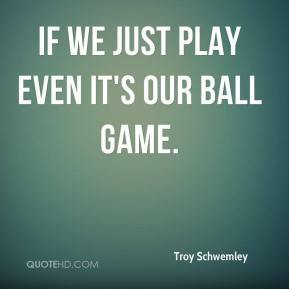 If we just play even it's our ball game. I don't think it's scary. I think it makes the game a lot more breathtaking, a lot more urgent for both teams. 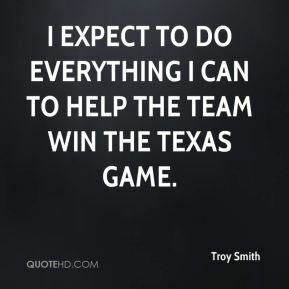 I expect to do everything I can to help the team win the Texas game. It was a huge game. We have been playing good baseball the last two weeks. 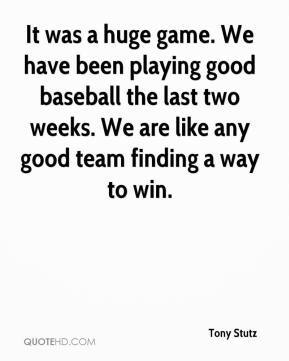 We are like any good team finding a way to win. It's nice to be able to get a game where you can play everybody and get everybody a lot of minutes. I think we had everybody but one score. 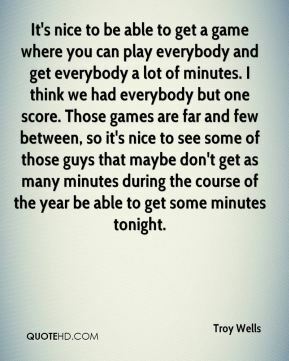 Those games are far and few between, so it's nice to see some of those guys that maybe don't get as many minutes during the course of the year be able to get some minutes tonight. Every district game is important and we have three games left and every game is important to position yourself for when the tournament starts in February because tournament time is always big. 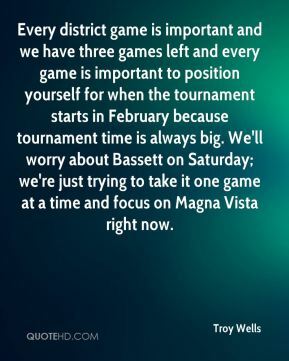 We'll worry about Bassett on Saturday; we're just trying to take it one game at a time and focus on Magna Vista right now.